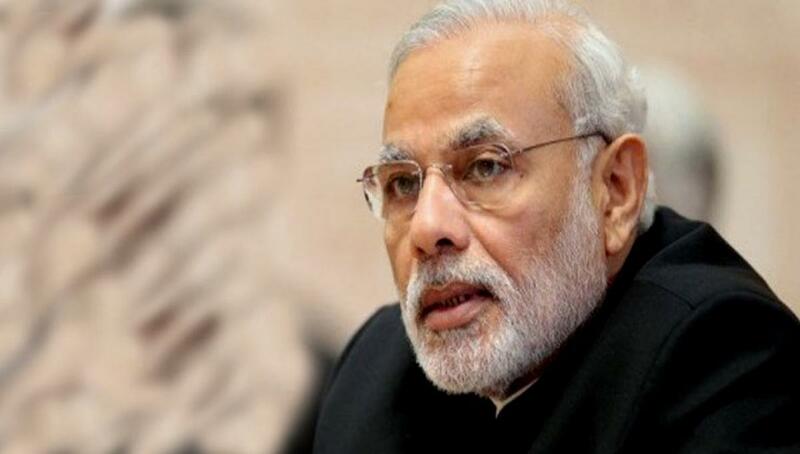 Won\'t Renew Ordinance On Land Acquisition: Modi. Prime Minister Narendra Modi on Sunday said his government will not renew the land acquisition ordinance that lapses on Monday. New Delhi: Prime Minister Narendra Modi on Sunday said his government will not renew the land acquisition ordinance that lapses on Monday. He said the ordinance, which was to lapse on Monday, will not be renewed and added that a statutory order would ensure that farmers get higher compensation for their land under 13 other central acts including those for highways and railways. "We had issued an ordinance which lapses tomorrow (August 31). I have decided, let it lapse. We will not renew it," Modi said during his radio address 'Mann Ki Baat' on Sunday. The prime minister, in his nearly 20-minute address, said there were 13 points, referring to already existing acts for acquiring land. He said the rules would be changed to give farmers higher benefit under these laws. Modi said a statutory order was being brought to include 13 central Acts to extend benefits to those farmers whose land is acquired. "The government's heart is clear on the land Act. We are ready to accept any recommendation that favours the farmers." "The ordinance will lapse, but those 13 points (Acts) will be brought under the rules so that the farmers do not suffer economic loss," he said. According to official sources, a statutory order issued by the government will ensure that farmers whose land are acquired under the 13 acts like the Land Acquisition (Mines) Act, 1885, the Metro Railways (Construction of Works) Act, 1978, and the National Highways Act, 1956, get higher compensation. The executive order issued under section 113 of the land acquisition law, enacted by the erstwhile Congress-led United Progressive Alliance (UPA) government, extends compensation and resettlement benefits under the law to the land acquired under 13 central acts so far not covered. This would mean the land acquired for any purpose would now be eligible for the high compensation and resettlement under the Right to Fair Compensation and Transparency in Land Acquisition, Rehabilitation and Resettlement Act, 2013 -- the UPA version of the Act. The ordinance was brought after the Bharatiya Janata Party-led government failed to get its amended land acquisition bill passed in parliament. The ordinance has so far been re-promulgated thrice. The NDA's land acquisition bill is with a joint committee of parliament. The ordinance can also not be reissued as the monsoon session, which was not prorogued after scheduled sittings ended August 13. An ordinance cannot be repromulgated when parliament session is on. The prime minister also mentioned the recent violence in Gujarat and said the incidents, which claimed at least 10 lives, had upset the entire nation. "The recent incidents of violence in Gujarat has upset the entire nation. Whatever happens to the land of Gandhi and Sardar Patel, the nation is shocked and pained first," he said. As India commemorates 50 years of the 1965 India-Pakistan war, Modi paid tributes to all those who, including then prime minister Lal Bahadur Shastri, played a role in India's victory in the war. Expressing satisfaction over the public response to government programmes for social security, Modi said: "So far, 11 crore families have joined the 'Suraksha Bandhan' scheme, of whom approximately half the beneficiaries are our mothers and sisters." He also mentioned that Rs.22,000 crore have been saved by the poor in the accounts opened under Jan Dhan Yojana. Modi also urged people to maintain cleanliness around them to fight the dengue fever, spread by mosquitoes that breed in clean water.